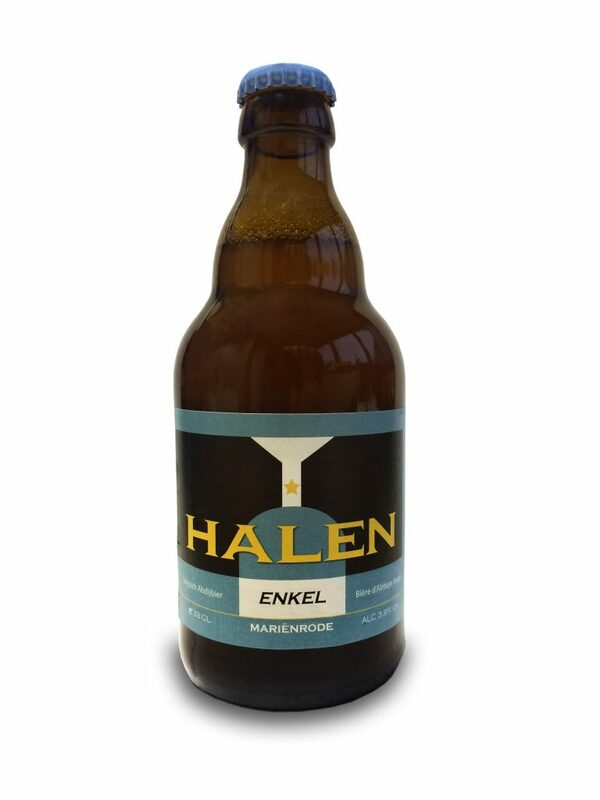 Halen Mariënrode Enkel is a blond, slightly cloudy beer of high fermentation. It is available on barrel and on 33cl with refermentation in the bottle. De Halen Mariënrode Enkel has an alcohol content of only 3.9% and is brewed with home-grown malt and a small amount of self-hurled honey. When tasting, the Halen Mariënrode Enkel has a slightly fruity flavor, but the citrus aroma will take over quickly. You will notice a moderate bitterness and a nice malty aftertaste. You can hardly believe that this fresh spring beer only has 3.9% Alc.